Ashland University's Trevor Bassitt went 7.97 to take the 60m hurdles victory. Trevor Bassitt started his indoor track season in emphatic fashion at Saturday's Tiffin Alumni Open. 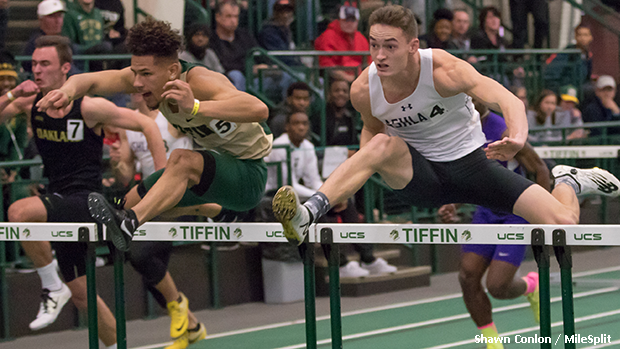 The Ashland University sophomore secured wins in the 60m hurdles and 300m events with his times of 7.97 and 35.51, respectively. He also took a runner-up finish in the 60m finals due to his 6.92 effort. In total, Bassitt established three new pr's on the day; his 300m result and 60m finals clocking were new bests, as was his 7.96 showing in the 60m hurdles prelims race. 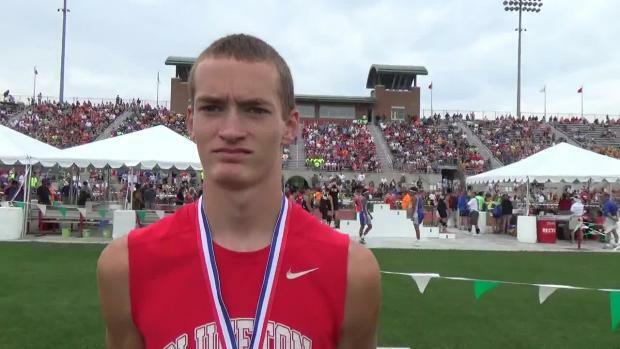 Bassitt, who represented Bluffton during his high school career, was the 2017 DIII State Champion in the 300m hurdles event.